Do insects like metal music? A viral video from a Facebook page apparently shows that arthropods can get down with the brutal jams. Watch this particular pest literally headbang to some metal music below. 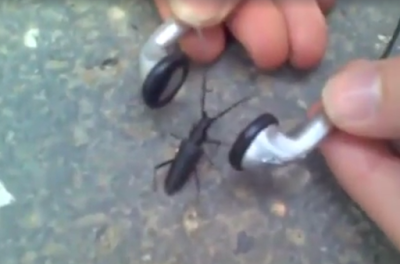 Some metalheads in Hungary evidently decided to share their love of extreme music with a local bug, offering their earbuds to the ground-dwelling creepy crawler. Then this insect seems starts to bob his head to the music.